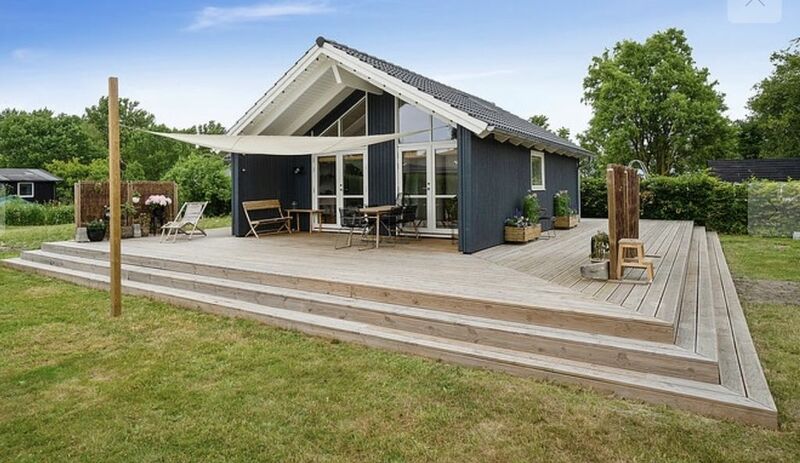 Situated in an idyllic colony of summerhouses right next to horse fields, golf courses, woods and the ocean, it's the perfect location for staying in the nature and still only having 20 min driving to the city center. The house is a newly built summerhouse from 2016 on a 780 m2 ground. Its modern and bright with a big terrace and garden. Inside its 60 m2 with 1 bedroom, 1 bathroom, a kitchen and a living room and with a cute loft where the kids or extra people can sleep. The house is situated in a small cooperative of summer houses or what the Danes call "Colony garden"
A colony of small cute houses and gardens, all with each their unique touch. The colony is 7 km from the airport, so it's easy to get to and from. The ocean you reach in 7 min where there is a long walking path with a great view over Øresund sea. Dragør golf club is right next to and horse fields surround the area. NB. some flight noise would be expected. As I moved in not long ago there are still lights in the ceilings. But there are floor lamps, outside lamps and Christmas lights and lots of candles to make it cozy and to give the feel of the Danish "cozy"
I am most likely on a vacation if you rent my house but I will always be available on the app or by phone. If I have the possibility I will be there for check in. If you want to be either a friend of mine or I will leave the keys for you in a sharebox, either at the airport if you are flying or at a nearby shop. It is very convenient with a car as it lies a bit remote. However, buses commute every half hour during the day and every hour during the evenings. You can take the bus to the metro station (7 km away) and then metro from there. It is faster than the bus.